The majority of martial arts teach students to move in ways which, at first, appear difficult and unnatural. As they observe the movement of a skilled practitioner they are impressed with the grace, power and flow of each technique. These often basic movements, when combined in sequential forms, are called kata. They are a series of offensive and defensive techniques against one of more imaginary aggressors. Kata is a form of shadowing boxing, but far more dynamic. These formal exercises serve as a catalogue for every technique in a particular style of martial art. Within each routine lies the mental and physical foundations that were fostered by the style’s founders. As skill levels increase, students learn more complicated kata however, more importantly, the relatively simple kata must be performed with improved skill, focus and concentration. At its basic level kata develops coordination, balance, precision, speed, timing, endurance and power. A kata, performed masterly, embodies all the aesthetic beauty and pure indomitable spirit of a martial art. Ultimately, kata becomes a test against the self to strive for perfection, a perfection that Masters maintain is humanly impossible to attain. Yet in striving for that perfection, practitioners enhance their character by giving their personal best and by conquering his or her self. 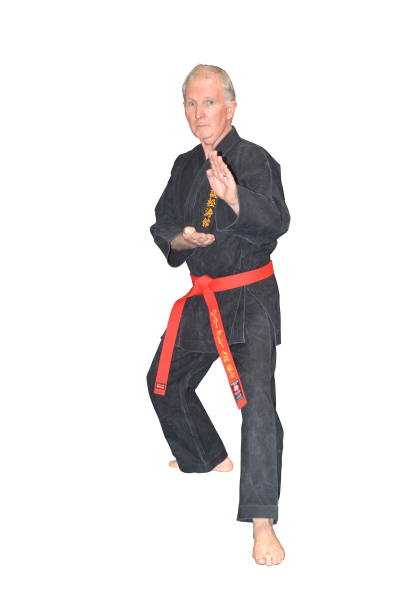 A question that is often asked is, “Why should we start and end kata on the same spot?” The design of a kata involves the setting out of a designated number of generally symmetrical steps that intentionally finish at its starting point. Therefore, the obvious expression of technical expertise is the ability to calibrate movements so that they are constant in character and form, ensuring that we finish where we started. Kata also is historically important. It was the first way in which karate was practised and passed on. There are many different applications of individual techniques (for combat or self-defence) that can be found in the systemised series of movements. Currently there are around sixty kata practised in the various traditional styles of karate, however others exist that are not widely practised. While kata is largely based on technique, precise control of movement, poise, balance, stance, the three most important aspects of its performance are the application of strength in the correct instances, the control of speed in and between techniques, and the smooth transition of body movements from one technique to the next. However those elements cannot be satisfied without rhythm. Rhythm is an essential element in the performance of all martial arts techniques, and is an integral element of both kata performance and kumite (free sparring). The late Soke Funakoshi Gichin, the father of modern karate who founded Shotokan Karate and, in 1949, the Japan Karate Association (JKA), the oldest and most influential Shotokan karate organisation in the world, professed that “kata is at the heart of karate”. 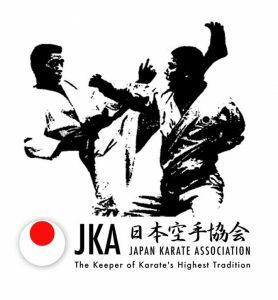 In mainstream JKA Shotokan Karate schools the study of and attaining proficiency in fundamental kata, together with selected basic black belt kata, are mandatory for the award of Shodan (1st Degree Black Belt). Thereafter, progression beyond Shodan is dependent upon personal development, the acquisition of further knowledge (selected from advanced kata), and gaining maturity in one’s own martial arts training. The six Taikyoku kata were developed by Soke Funakoshi’s son, Funakoshi Yoshitaka Sensei, and introduced as a way to further simplify the principles of the already simplified Heian kata series. As is the case in most Shotokan dojos, only the first in the Taikyoku series is taught to students as an introductory kata. In his book ‘Karate-Do Kyohan’, Soke Funakoshi described Taikyoku Shodan thus, “… because of its simplicity, the kata is easily learned by beginners. Nevertheless, as its name implies, this form is of the most profound character and one to which, upon mastery of the art of karate, an expert will return to select it as the ultimate training kata”. Often simply referred to as ‘kihon’, Taikyoku Shodan (first cause, first level) is the first of the Taikyoku series and involves only two basic moves – gedan barai (low block), and chudan oi zuki (middle lunge punch). All stances, except at the beginning and end, are zenkutsu-dachi (forward stance). There are 20 steps to this kata. All turns are inwards towards the embusen (performance line). The Heian Kata represent the first five kata in Shotokan Karate. They are supposed to introduce beginners to the basics that they will need to advance. Originally known in Okinawa as Naihanchi, as with the Heian katas (which were originally named Pinan), these katas were renamed by Soke Funakoshi upon their introduction to Japan to reflect the strength exhibited with kiba-dachi (horse-riding stance). Rich in fighting techniques, the Tekki family offers a multitude of close quarter combat techniques. The strong techniques of this kata emphasise hip movement. Some resemble a battering ram being used against fortress walls. Without the understanding and application of composure and agility, strength and change, fast and slow techniques, light and heavy applications of strength, it will not be effective. Most of the elements of the Heian Kata were derived from this kata. The first movement in this kata views the sky, which symbolises the universe and shows your opponent that you are unarmed. Formulated around 1762, but adapted by Soke Funakoshi, this is one of the longest kata in karate and was to become Soke Funakoshi’s preferred kata. Its movements display both Okinawan and Chinese influences based on a variety of attacks from four or even eight directions. The goal of this kata is to teach a student to fight against ten opponents. This is a strong kata, similar to Jion and Ji’in. While it is primarily focused on countering stick attacks, it is also effective for understanding the importance of and mastering tightening of the sides of the chest, and the role of the hips in concentrating power. This kata received its name from its principal stance, hangetsu-dachi (half-moon stance). It is one of the oldest kata currently taught, dating back to the Okinawan Tode Master, Peichan Takahara, who lived from 1688-1760. Characterised by fast and slow techniques, coordinated breathing is integral to its correct performance. The feet movements are useful for breaching the opponent’s stance, and attacking and destroying his / her balance. Dating back to 1695, Empi is one of the oldest kata in Shotokan. The quick up and down movements of this kata are reminiscent of a flying swallow – light, keen and quick-witted. Its former name was Wanshu. Believed to have been formulated in the early 19th century from Chinese Ch’uan Fa (Kempo) principles, this kata takes its name from the posture (tsuruashi-dachi) of a crane standing on one leg on a rock, ready to pounce on its prey. The movements are supposed to simulate a fight in the narrow alleys of Okinawa. The former name of this kata was Chinto. While Jion is a term in Buddhism, it is also the name of a significant temple in China. Employing basic stances and techniques, it is one of the most traditional kata in Shotokan. There is a perfect harmony in this kata and its calm movements contain a strong spirit. It is designed for mastering rotational movements and shifting directions, and the simultaneous execution of arm and leg movements while changing direction. Derived from Bassai-Dai, this kata displays calmness through its techniques; techniques that contain an inner strength. Derived from Kanku Dai, the movements and performance line are relatively similar. Chinte has a lot of circular and roundhouse techniques. These are rare and are not typical of the ‘shortest distance between two points’ concept applied in Shotokan. The kata begins in tranquillity, becomes powerful and ends in calmness. Wankan is the shortest kata in Shotokan. Ji’in is another term Buddhist term. It has similar techniques and performance line as Jion. The movements in this kata undergo incessant transformations. Unsu has several techniques that symbolise parting the clouds with open hands. Being one of the most advanced kata of Shotokan, there are high and low jumps, slides, feints and provocations, using all parts of the body as weapons and especially developing lightness and quickness, timing rhythm and strategic skills. The trick in this kata is to avoid looking like a scarecrow trying to dance. The movements in this kata resemble waves breaking on a cliff. The former name of this kata was Ni Sei Shi. Performance of this kata is only correct when the movements are smooth and flow unbroken into one another. In this kata we find grandeur, strength and stable power. The name of this kata comes from its stance (sochin-dachi); a strong, rooted stance. One of the benefits of this kata is the nurturing of a keen sense of timing that allows repeated attacks without giving the opponent an opportunity for counter-attack. Its former name was Hakko. This kata is one of the most advanced kata of Shotokan. Soke Funakoshi called it hotaku (knocking of a woodpecker) because some of the techniques resemble a woodpecker tapping its beak against a tree. It is characterised by smooth and flowing movements, an emphasis on balance, and its turning movements. This is a variant of Gojushiho Dai. It is also one of the most advanced kata of Shotokan. The first movements of this kata suggest the smoothing of water to make it as calm and even as a mirror. The sankaku tobi (triangle jump) at the end of this kata, correctly executed, enables the karateka to convert disadvantage into advantage in a single swift movement. Gankaku Sho is a traditional Japanese style kata from Tomari-te Shorin-Ryu. Unlike the more commonly seen Gankaku kata that is performed in a straight line, front and rear, Gankaku Sho is performed along a different embusen that is forty-five degrees to the front left and one hundred and thirty five degrees to the right rear from the ready position (yoi). This kata reputedly is the original version of the Gankaku kata. The more commonly seen version of Gankaku is actually a version that was modified by Soke Funakoshi. This kata is the Shotokan version of the Goju Ryu kata Suparinpei. Suparinpei is another kata of Chinese origin, the name of which can be translated as ‘108 Hands’ or ‘108 techniques’. 108 is a significant number in Buddhism. Suparinpei is the most advanced kata in Goju Ryu. It contains the greatest number of techniques and variations. Suparinpei is deceptive in that it appears simple in execution but when combined with transitions and changing tempos, it is only surpassed by the Goju Ryu kata Sanchin in technical difficulty and understanding. Nijuhachiho, which means ’28 Steps’ in Japanese, is of Okinawan origin and originally from White Crane gung fu. The kata is considered to be very advanced, and has not been taught widely. Like Gankaku Sho, Nijuhachiho contains many stances not commonly found in traditional Shotokan, numerous body rotations to change directions, many unique defences and counter-attacks to different targets, levels and directions, and numerous open hand techniques. This kata was developed by Goju Ryu founder, Miyagi Chogun, around 1920. It embraces the fundamental techniques of Okinawan Naha-te with the soft breathing techniques of Pa-kua Ch’uan. The name Seiyunchin implies the use of strikes, sweeps, grappling, take-downs and throws to off-balance opponents during close quarter battle. Though the kata is devoid of kicks, many practitioners make the grave mistake by missing leg techniques. Though almost invisible to the untrained eye, the subtleness of ‘ashi barai’ and ‘suri ashi’ can represent foot sweeps, parries and traps. The reference to ’18’ in naming this kata has a couple of interpretations. Like the Goju Ryu kata Sanseru, there is a suggested connection to Buddhist philosophy, but it also suggests an alternative set of attacks, defences and strategies from the original Sanseru 36.